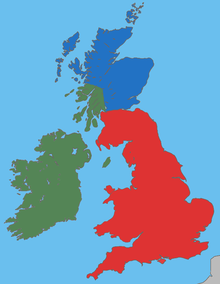 Gaelic society traditionally centred around the clan, each with its own territory and king (or lord), elected through tanistry. The Irish were previously pagans who worshipped the Tuatha Dé Danann, venerated the ancestors and believed in an Otherworld. Their four yearly festivals – Samhain, Imbolc, Beltane and Lughnasa – continued to be celebrated into modern times. The Gaels have a strong oral tradition, traditionally maintained by shanachies. 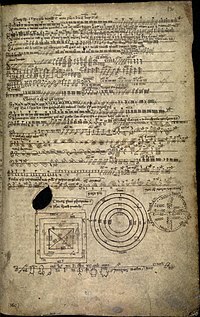 Inscription in the ogham alphabet began in the 4th century. 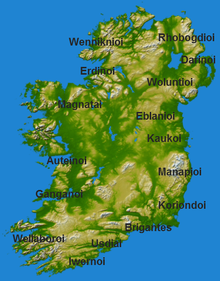 Their conversion to Christianity accompanied the introduction of writing in the Roman alphabet, and Irish Gaelic has the oldest vernacular literature in western Europe. 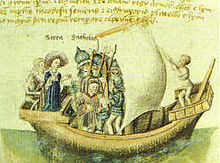 Irish mythology and Brehon law were preserved, albeit Christianised. 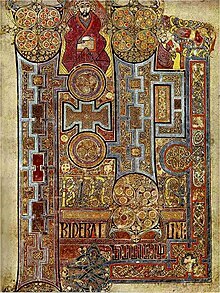 Gaelic monasteries were renowned centres of learning and played a key role in developing Insular art, while Gaelic missionaries and scholars were highly influential in western Europe. In the Middle Ages, most Gaels lived in roundhouses and ringforts. The Gaels had their own style of dress, which (in Scotland) became the belted plaid and kilt. They also have distinctive music, dance, and sports. 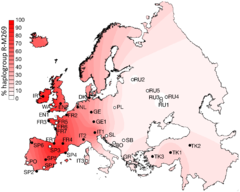 Gaelic culture continues to be a major component of Irish, Scottish and Manx culture.